The Florida Technology Student Association Technology Honor Society is designed to recognize those students who excel in academics, leadership, and service towards their school and community. It is an opportunity for student members to be recognized for their efforts. It is designed to recognize TSA members who exemplify the high ideals of academics. It is designed to recognize students for accomplishments. There is no limit to the number of students who can apply. 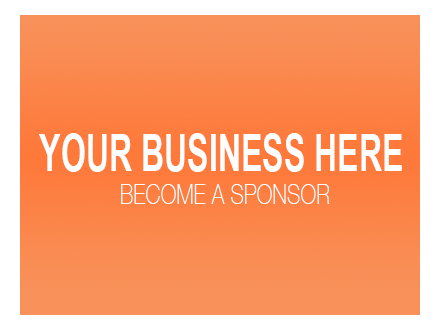 All applications will be reviewed and forwarded to the State Advisor who will notify National TSA. Inductees will be recognized at the State Conference in Orlando, Florida with a special award. As members of the Florida TSA Technology Honor Society, your TSA members will automatically become members of the National TSA Technology Honor Society. Members will receive a certificate and a lapel pin designed specifically for inductees by our national association. 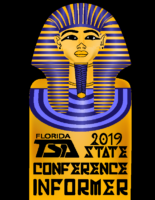 Inductees will then be recognized at the TSA National Conference in Orlando, Florida. To be inducted into the Florida TSA Technology Honor Society, a TSA member must first meet a set of specified standards or requirements. These standards cover three different areas: academics, leadership, and service. (Note that items used for a Level I application may not be used again for a Level II application). Maintain at least an unweighted 3.0 grade point average (GPA) based on a 4.0 grade point scale, or equivalent. You must submit an up-to-date transcript with your application. Level I TSA members may be selected for the Honor Society in their 7th, 8th, or 9th grade year in middle or junior high school. Level II TSA members may be selected in their 9th, 10th, 11th or 12th grade year in high school. Maintain a 3.0 grade point average (GPA) based on a 4.0 grade point scale or equivalent in Technology Education classes, if enrolled in such classes. Must have held at least one chapter, state, or national office, sufficiently fulfilling its duties for a full school year. Must have held an office in an organization other than TSA. Must have attended at least one state and one national conference. Must have placed within the top three places at least once in a state or national TSA competitive event. Must be an active member of TSA for at least one semester in one’s current chapter. Must have participated in a service project that benefited his or her school. Must have participated in a service project that benefited his or her community. Must have served on a chapter, state, or national committee. Must have given a presentation on TSA to an organization outside one’s chapter (i.e., PTA, school faculty, Board of Education, etc). have their names sent to various scholarship foundations and college referral organizations (junior and senior year high school students). Awards and Recognition Programs are also listed and described on the National TSA website. You will need Adobe Acrobat Reader to view the PDF files after they are downloaded.